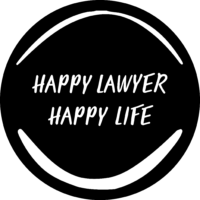 The Happy Family Lawyer, Clarissa Rayward, Director of Brisbane Family Law Centre is available for speaking and presentation opportunities both nationwide and internationally. Clarissa Rayward, ‘The Happy Family Lawyer’ is available for speaking opportunities both nationwide and internationally. As a business owner and entrepreneur Clarissa has regularly presented on issues that affect small business and daily work life. Clarissa is a wife and mum and is passionate about the issues that particularly affect women in business, including work life ‘balance’ (or the lack thereof! ), flexible work practices and the changing identity of working women. As a divorce lawyer and author Clarissa has provided key note presentations on topics relating to relationships, love and life. She has presented to the legal industry on a variety of topics including two day workshops in Collaborative Practice to the basics of family law. Clarissa’s entrepreneurial approach to law has seen her regularly present on the changing face of the legal profession. Due to the overwhelming response to her book and podcast, Clarissa has also launched two new initiatives to support and assist lawyers in their professional lives: “The Course and “The Club”. Clarissa was recently recognised for this innovative platform, receiving the 2017 LexisNexis and Janders Dean Legal Innovation Index Award for “The Club”, an online community for entrepreneurial lawyers looking to make the best out of their business while making the best of their lives outside of the law.